PK Boosters for growing cannabis plants. what are they? PK Boosters are used be cannabis growers looking to get the most out of their cannabis plants. 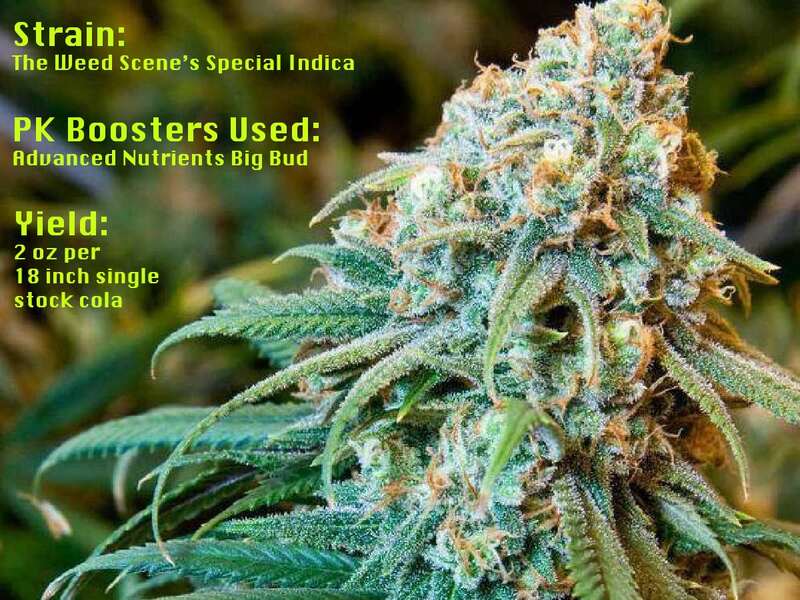 Advanced Nutrients Big Bud is what we used on this indica plant. What does PK Booster mean? PK boosters are nutrient supplements for flowering cannabis plants that are specifically designed to be used during middle and late stages of the cannabis flowering periods. PK boosters are particularly high in phosphorus (P) and potassium (K), which is where the booster derives its name. A PK booster simulates a natural chemical change inside a plant, particularly in the ends of the stems where flowers and buds develop. What stage of Cannabis Growing should I use PK Boosters? The transition to the flowering stage is one of the major changes that a plant makes during its life cycle. To meet the needs of this transition, a plant takes cues from hormones, temperature, and lighting. There are six main nutrients that are essential to getting the healthiest & biggest cannabis yields you can get. These essential nutrients include potassium and phosphorus. Potassium in particular is essential to healthy flowering and fruiting in plants. When gardeners want to increase these nutrients, particularly during the flowering stage, they can use PK boosters. Additionally, gardeners can use PK boosters to encourage a plant to flower at a much earlier time than it would naturally. PK boosters are available in both liquid and concentrated forms. When added to plants, particularly during the flowering stage, higher amounts of potassium and phosphorus are made available for the plant to absorb. PK boosters can have several different benefits when added to flowering/fruiting plants. They can greatly enlarge fruit buds and increase crop yields. Additionally, PK boosters can potentially improve the overall taste and quality of crops.